The story of an ordinary single mother and the women she meets along the way. Marie-Raphaëlle Rivière, known as Mara to her friends, gives birth at age 18 to a child without a father. She leaves her private school and big family home. She gives up the comfort of the world she knows. With her baby in her arms, she takes a small apartment and goes on social assistance. 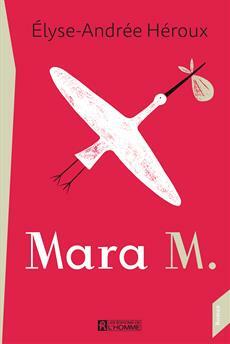 Helped by parents disturbed by her choice, young Mara sets out on her life. Searching for role models, she looks at other mothers' lives. The good and the not so good. The young and the old. Those who are all alone. Those married with good fathers. Career women with nannies. Stay-at-home mothers. Around Mara, there are women with several children or just one, those who want to have children but can't, those who give birth without fuss and those who give birth with drama, and those who mess things up. Others grieve for motherhood. These include non-mothers, but also bitter mothers and those who have given up. Around Mara, there are all kinds of mothers. In this tale covering more than twenty years, we follow Mara from her pregnancy to the moment when her son, an adult, leaves the nest. Her path: mistakes, victories, errors, solitude, botched love affairs and small joys. From the funny to the tragic, from periods of grace to disillusionment, Mara goes through life as a single mother, looking at other mothers and looking toward the future. An accurate and uncompromising portrait of the reality experienced by modern families in all their forms. A look at different ways of being a mother that is both caustic and affectionate.